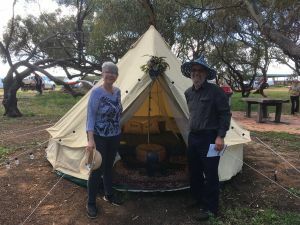 The sun was shining and the wildflowers were blooming when more than 50 people joined the Gunnado BioBlitz – many were local Geraldton residents, but many also travelled up from Perth for the event. 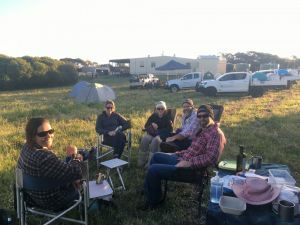 The 2018 Gunnado BioBlitz was hosted by the Northern Agricultural Catchments Council and Geraldton Streetwork Aboriginal Corporation at Gunado Farm near Walkaway. 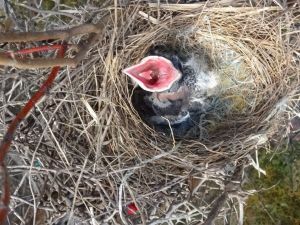 The Gunnado BioBlitz was a community project aimed at bringing together professional and amateur ecologists – and those interested in learning more about their natural environment. It involved collecting data on as many species, from as many different taxonomic groups as possible over a 24-hour time period. 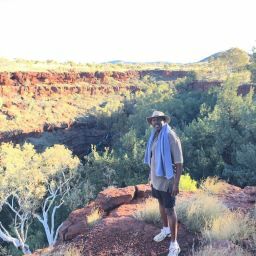 The event was opened with a heartfelt Welcome to Country was given from Wajarri Amangu man David Ronan – encouraging everyone to explore the local area, while also caring for the Country that has provided us with so much. Participants then moved into four main groups led by ‘eco-gurus’, with participants swapping between sessions and locations according to their skills or interests during the weekend. Beach & Boho Glamping winners Glenda and Murray Blyth and the Harrold Family enjoying the breath-taking view of the Moresby Range from their 4 metre tepees. Tech savy Joe Tonga using his snake camera to flush out a Nightjar and also a Marbled Gecko from tree hollows. 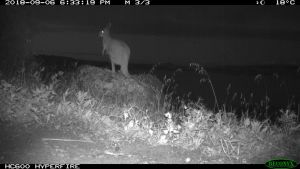 Checking the motion sensor cameras to find a great series of Kangaroo images at Kangaroo Point Lookout, plus we added a bird species to our list with a spectacular White-faced Heron. Discovering a Burrowing Frog in the grass during the night stalk. The identification of a Priority Four Donkey Orchid (Diuris recurva). 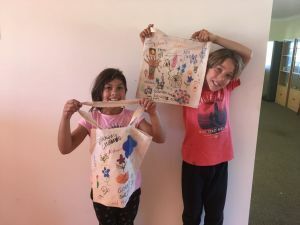 Designing Nature Workshop hosted by Malgana artist Bianca McNeair, where budding artists drew inspiration from the wildflowers of Gunnado Farm to create their very own reusable shopping bag. 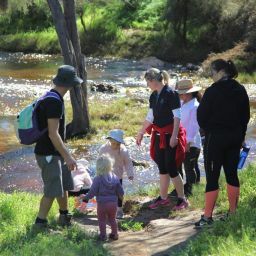 NACC’s Biodiversity Program Coordinator Jessica Stingemore said that BioBlitzes are a wonderful way to connect people with nature and a brilliant way to showcase the region and local community spirit. 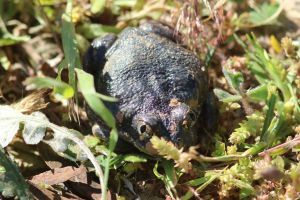 The full species list is still being complied, but at this stage we counted more than 150 plants, 35 birds, six reptiles, one burrowing frog, and many yet to be identified invertebrates. 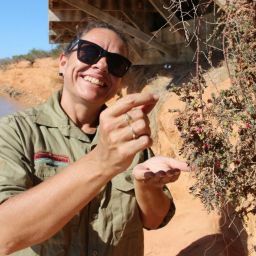 This event was supported by the Northern Agricultural Catchments Council, Geraldton Streetwork Aboriginal Corporation through funding from the Australian Government’s National Landcare Program and the Western Australian Government’s State NRM Program.